Enjoy these amazing nickel facts. Nickel is a transition metal that can be alloyed with many other metals. It has had a number of different uses over the years including jewelry and coins. Find out more about nickel and its interesting properties by checking out our facts below. 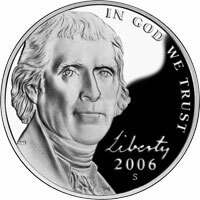 Nickel is a chemical element with the symbol Ni and an atomic number of 28. In Germany during medieval times, a red mineral was found that looked like copper ore (rock). When miners couldn't extract any copper from it, they blamed a mischievous sprite of German mythology, Nickel. They decided to call this ore Kupfernickel, with the German word for copper being Kupfer. In 1751, Baron Axel Fredrik Cronstedt discovered nickel while trying to extract copper from the ore kupfernickel. He named the white metal substance nickel after the spirit that had given its name to the ore.
Unintentional use of nickel has taken place since ancient times around 3500BC. Based on writings the alloy cupronickel is believed to have been used by the Chinese from 1400BC and exported to Britain in the 17th century. Nickel is a transition metal that is hard and ductile. It is a silvery-white shiny metal with a slight golden tinge. Nickel has a melting point of 2,651 °F (1,455 °C) and a boiling point of 5,275.4 °F (2,913 °C). Along with iron, cobalt and gadolinium, nickel is one of just 4 elements that are magnetic at or near room temperature. Major nickel deposit sites have been found in the Sudbury region of Canada (possibly of meteoric origin), New Caledonia, Russia, South Africa, Philippines, Indonesia, and Australia. Most uses of nickel are as an alloy metal, namely in nickel steels, brasses, bronzes and nickel cast irons. The metal is often alloyed with copper, chromium, aluminium, lead, cobalt, silver, and gold. Nickel was commonly used in the making of coins, however, due to the metal being a skin allergen for some people, and the fact that today cheaper metals are available the element is no longer widely used in coinage. People can have allergic reactions to nickel through skin contact. Traditionally, nickel has been used to make jewelry such as earrings. Nickel allergies affecting pierced ears often result in itchy, red skin, therefore many earrings are now made nickel-free. Nickel is also used in many other products such as magnets, rechargeable batteries, electric guitar strings, microphone capsules, and as a green tint in glass. Nickel is quite rare in the Earth's crust. It is 100 times more likely to be found in the Earth's core, where it is the second most abundant element behind iron. Nickel is one of the elements used to make stainless steel partly due to its corrosion resistant properties. In the U.S, a five cent coin is called a "nickel" despite being 75% copper and only 25% nickel.